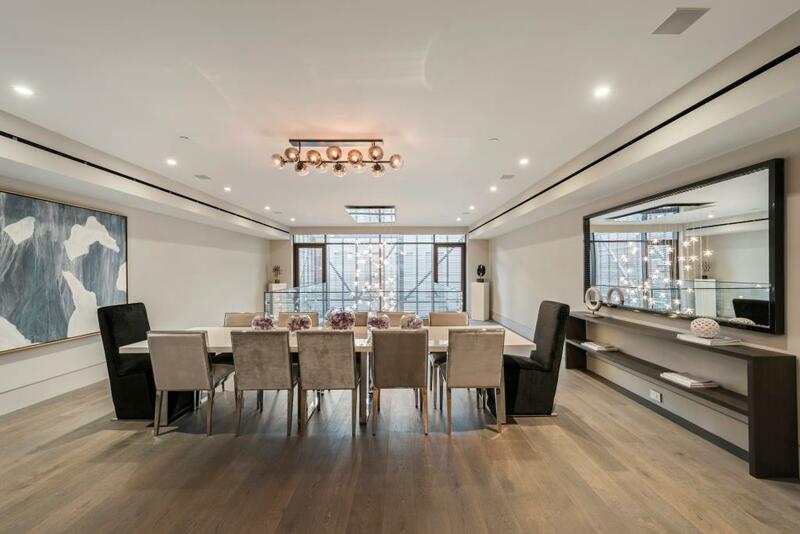 An exceptional mansion in one of Manhattan’s most exciting neighborhoods, 357 West 17th Street raises the bar for exquisite living in vibrant West Chelsea. 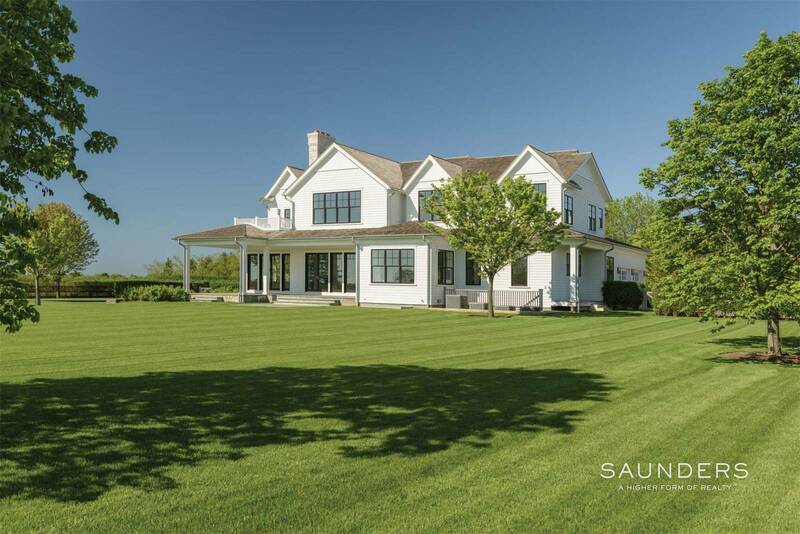 Featuring 11,000 square feet of living space flowing unimpeded to 2,000 square feet of outdoor space, the atmosphere is airy, unfettered and incredibly inviting. Here, five luxurious bedroom suites, 11 bathrooms and powder rooms, an immense restaurant-quality kitchen and sumptuous interiors provide a superb backdrop for supremely elegant living. The muted, luxurious design scheme is infused with Italian brands and aesthetics and punctuated by unexpected details like Swarovski crystals and leather-like accents, while meticulous attention to details and creature comforts abounds. 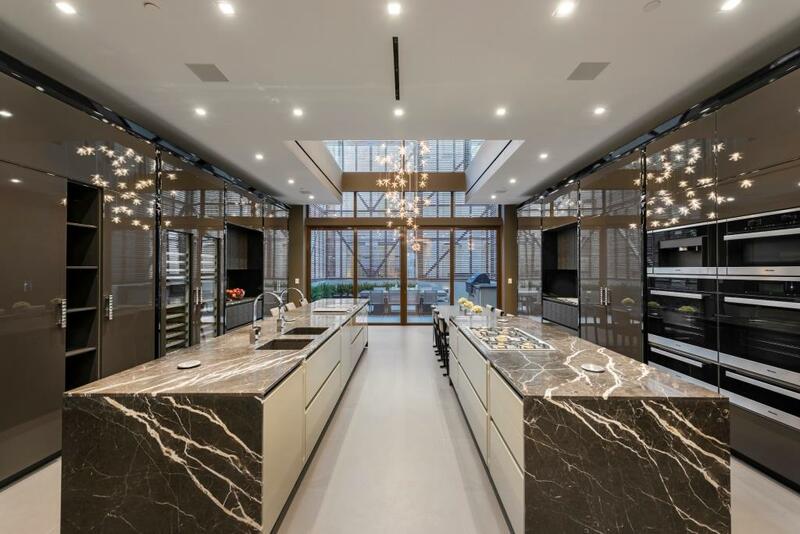 A stunning showplace made for luxe entertaining, the home boasts an impressive double-height mirror image kitchen with two massive islands, two ovens and two pairs of refrigerator-freezers. 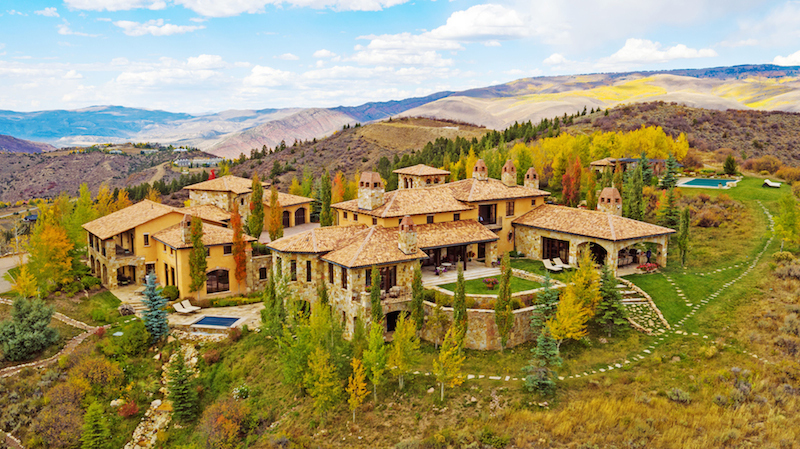 In the expansive 26-foot by 23-foot living room, a DaVinci gas fireplace acts as the warm focal point, and glassed-in terrace views surround the mezzanine formal dining area that seats more than a dozen guests in utter comfort. 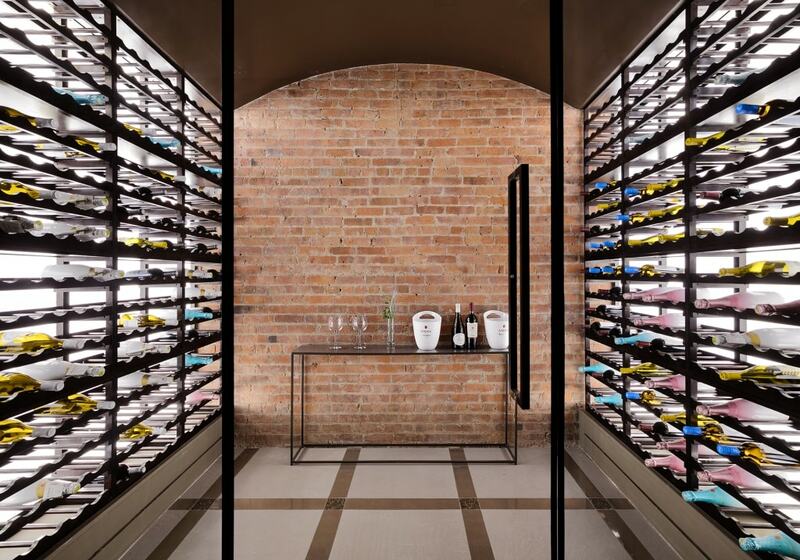 Wine lovers will rejoice in the 400-bottle capacity, temperature-controlled wine cellar and additional wine refrigerators in the home’s primary kitchen and two wet bars. Four remarkable bedroom suites attend to guests and family while the full-floor master suite with twin bathrooms, a powder room, kitchenette, two flex/sitting rooms, endless wardrobes and chic custom cabinetry provides a decadent and serene escape. For relaxation and rejuvenation, head to the cellar-level outfitted with a swimming pool, combination steam/sauna cabinet and state-of-the-art fitness center. Or perhaps the latest action flick is what you crave. 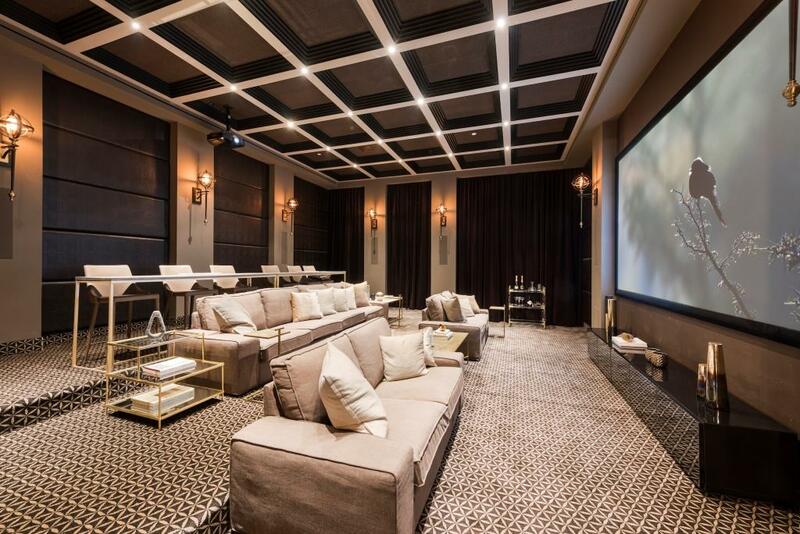 The soundproof home theater with stadium seating, 3D HD projection and THX Dolby surround sound provides a full cinema experience in your own home. And the home’s top-notch electronics and technology are customizable to your needs including integrated sound, CCTV and intercom. Ample outdoor spaces are found throughout the home, from the small garden to the two oversized rear terraces to the massive roof deck surrounded by iconic New York City views. For more information, contact Tomer Fridman at 310.926.3777 or [email protected]. 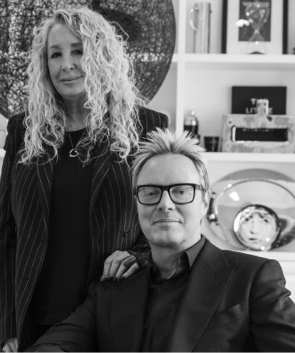 Tomer Fridman and Isidora Fridman are the exclusive agents representing the Calabasas, California real estate market as members of the Haute Residence Real Estate Network. View all of their listings here.